As an Emmaus founder, Fran has worked closely with adults and couples working to develop tools and techniques to enrich their lives and overcome issues preventing them from living to their potential. Prior to Emmaus, Fran worked as a therapist at Kaiser Permanente, Family Services of Los Angeles, and Presbyterian Counseling Services. She was also an adjunct faculty member at Antioch University in the M.A. psychology program teaching adult development and family Systems therapy. 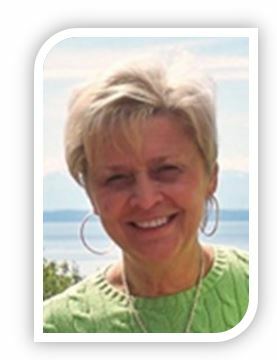 Fran works with adults and couples in our Bothell Annex, Bothell on Main Street, Bellevue and Redmond Main offices. M.S.W., Social Work, University of Southern California, Los Angeles, CA. B.A., Sociology, Boston College, Newton, MA. National Association of Social Workers and Academy of Certified Social Workers.